This class will set you up for day, it is suitable for all levels including teens (but please make sure under 16's are accompanied by an adult). An open level vinyasa flow class- connecting breath with movement to create a moving meditation. 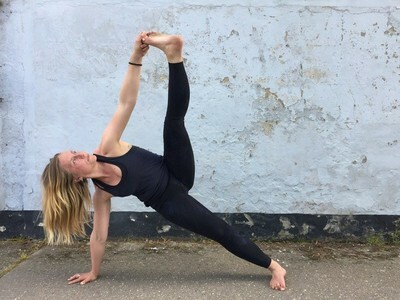 Aquila attended her first yoga class aged eight in India, and nearly 15 years later she decided to complete her teacher training in Vinyasa Yoga. This training was very traditional and gives her a strong link with Ashtanga and the ancient philosophies. She has gone on to study Viniyoga, Jivamukti, Forrest Yoga and Pre and Post-natal yoga. Aquila has run retreats all over the UK and internationally. She now lives in Bridport with her partner and two young boys and is a doula.